In an exclusive interview with www.just-auto.com, UK aftermarket lighting specialist Astra Automotive suggested that, after the European Commission recently mandated the use of daytime running lights (DRLs) for newly-registered vehicles, European motorists could get stung if their light emitting diode (LED) bulbs fail because they may have to stump up the cost of replacing complete lighting units. Matthew Beecham, a www.just-auto.com analyst, interviewed Astra Automotive's Leon Callahan and managing director Robert Jones. The full interview appears in just-auto's newly launched QUBE automotive lighting intelligence service: www.just-auto.com/lighting . 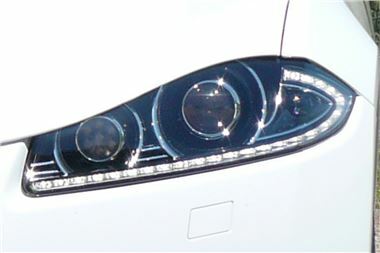 just-auto: "The European Commission recently mandated the use of daytime running lights for newly-registered vehicles. All new types of passenger cars and small delivery vans will have to be equipped with the lights, while trucks and buses will follow in August 2012. Does this spell out good news for your business?" Astra Automotive: "The daytime running lights that we have seen are mostly LEDs, therefore this will not bring in new business for the replacement bulb market for at least three years, because in nearly all cases they will be covered under manufacturers' warranties." "Even then, most will be fitted with LED model specific lighting systems such as the LED 'eyebrow' effect of the Audi and LED circle around the front side lights on the latest Land Rover and Range Rovers." "These units, as we see it, will be sealed in manufacture so if an LED light was to fail, it will almost certainly be impossible to just replace the bulb. Instead the motorist will have to replace the whole light assembly, which will prove expensive in terms of replacement and garage time. The same goes for truck and bus operators who are more conscious of vehicle downtime and costs." Obviously this does not apply to the separate standards bulb DRLs fitted to, for example, FIAT 500s, and the separate low level LED DRLs fitted to, for example, Mercedes and Porsche. But having to replace an entire Xenon headlight unit just because one or two of the LEDs failed could easily create a bill of £1,000 plus.